I remember during this time last year, I was so sentimental thinking about preschool graduation for my youngest and watching her perform songs with her classmates. It was so precious and, well, fleeting. Now, after a year of kindergarten, I have realized that this train has left the station and I just need to enjoy the ride with her. Moms and dads all over are preparing for something even bigger, as they send their kids out to the world untethered. I admire these parents for getting their sweet ones to this point (one way or another) and for standing there watching their children shine. I know I will never be ready to let mine go, but just as it is a part of their growing up, it is part of my journey too. To these eager and smart young people who are full of possibilities, I say, Go eat the world up! We need you with all your energy and ideas to help make the world better. Looking for graduation gifts? How about some sweet encouragement . . . I love this quote and the art design of this print-yourself print. It's only $3.00, add a frame and you've got an inexpensive way to motivate your favorite graduate. 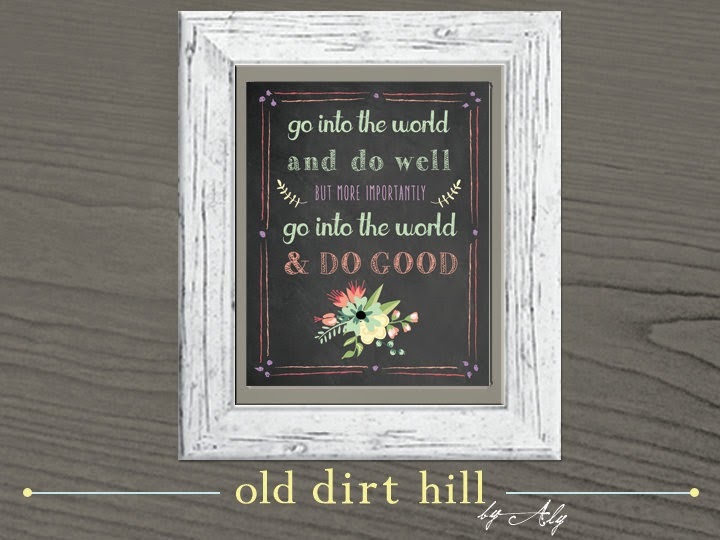 From OldDirtHill on Etsy. 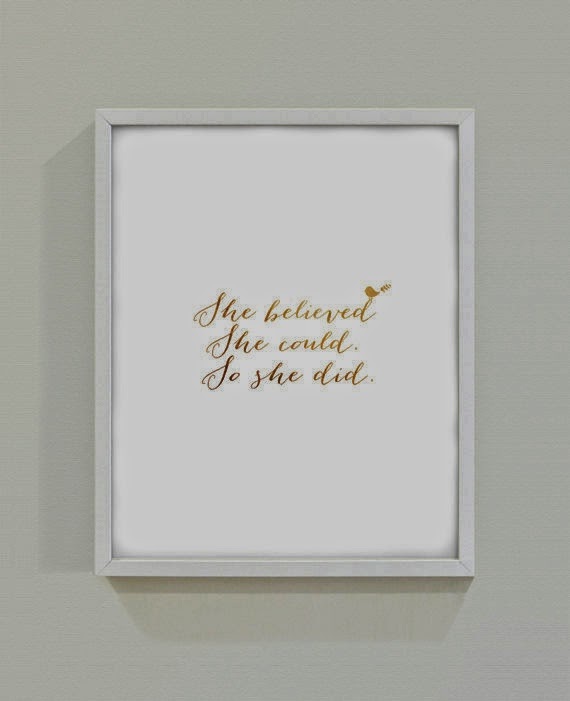 "She believed she could so she did." I have a version of this hanging in my oldest daughter's room and it's one of my favorite quotes. I love this quote to encourage a young woman, especially presented in the gold-glam design here by who else, GlamPrint. Still looking for announcement? We have you covered on our Printswell site. Here is one of my favorite preppy graduation announcements. Click on over and take a look at our extensive selection. Then use the code FRIEND20 to receive 20% off of your order. To see more great graduation inspiration follow our graduation Pinterest board. Follow Sassafras Paper's board celebrate - graduation on Pinterest.